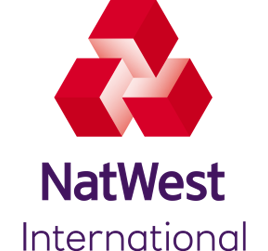 NatWest International is part of The Royal Bank of Scotland Group. The Royal Bank of Scotland Group, founded in 1727, is one of the World’s leading financial services groups. To find out more about The Royal Bank of Scotland Group including the history, structure, achievements, policies, Investor relations and working for the Group, visit the RBS Group website. NatWest International is proud to be the title sponsor of the Gibraltar 2019 NatWest International Island Games. NatWest International have worked ever more closely with many of the organisers, officials and competitors who give their time, energy and commitment to this major worldwide and very popular event on the sporting calendar. NatWest International in partnership with the Gibraltar 2019 Organising Committee and the IGA will ensure that the NatWest International Island Games continue to be an event that is enjoyed by all member islands and further develop its well-earned reputation as ‘the friendly games’. As Gibraltar’s only insurance company with Chartered Insurer status, Argus Insurance Company (Europe) Limited, is a local member of the Argus Group, which is headquartered in Bermuda. Argus Insurance Company (Europe) Limited are proud to provide local customers with a full range of home, commercial, marine and motor insurance. A Gibraltar based leading insurance Company, serving the needs of the local community. The Argus Group has a long association with sport in Gibraltar and are proud and excited to support the Gibraltar 2019 NatWest International Island Games. Established over 200 years ago, the Bland Group is a company built on the foundation of solid and strong family ties in Gibraltar. It has been steered by four generations of the Gaggero family and today proudly operates on an international scale with an extensive range of companies spanning across the Travel, Tourism, Security, Aviation and Technology Industry in the UK, Gibraltar, Spain, Morocco and the USA. The Bland Group is proud to support the Gibraltar 2019 NatWest International Island Games. With Gibraltar’s wonderful reputation for warm welcomes and the friendliness of our people, hosting 2,500 Games participants will be a superb opportunity to showcase these strengths. The Games will also enable us to demonstrate Gibraltar’s professional and administrative competence on a scale rarely attempted before. 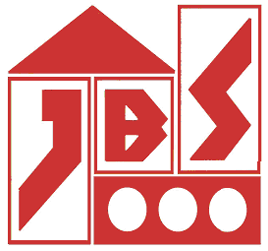 From humble beginnings in 1988, Gibraltar Joinery & Building Services Ltd (GJBS) was located in the Military of Defence Dockyard as a small joinery company manufacturing windows and doors but is now, and has been for the past 5 years, the largest Building and Civil Engineering Company in Gibraltar. GJBS is proud to be a Gibraltarian company building in Gibraltar managed by Gibraltarians with the full support of the Gibraltar government. Hassans International Law Firm was founded in 1939 by Sir Joshua Hassan. The firm emerged in the post war period as a highly-respected legal institution, eventually growing to become the largest firm in Gibraltar. Senior Partner, James Levy CBE QC, leads a team of over 80 lawyers and 170 fiduciary and support staff. The firm has been instrumental in helping to develop Gibraltar’s banking, insurance, financial services, funds and online gaming sectors and in recent times has become a leading firm advising in the crypto and blockchain space. Hassans celebrates its 80th birthday in 2019 and is delighted to commemorate this year by continuing to support a number of community events, as well as adding new initiatives to the firm’s corporate and social responsibility programme. We are delighted to be able to help the Gibraltar 2019 NatWest International Island Games team welcome participants from 24 member islands from around the globe and are excited to be part of what is sure to be a momentous and successful Island Games. Over the last 20 years, Kindred Group has brought together 11 of Europe’s most successful online gambling brands – forming one of the largest online gambling companies in the world. What started as Unibet is today Kindred Group, a diverse team of 1,500 people representing over 50 nationalities across more than 10 locations. Kindred was founded on the idea of ‘offering players a better way to gamble’, which to date remains at the heart of our company as we strive to give our customers a safe, secure and sustainable form of entertainment. Kindred Group was founded on a passion for sports, so we are proud and excited to support the Gibraltar 2019 NatWest International Island Games. We look forward to seeing the community join together in what will surely be a truly memorable event. Proud to be a part of the Gibraltar 2019 NatWest International Island Games. 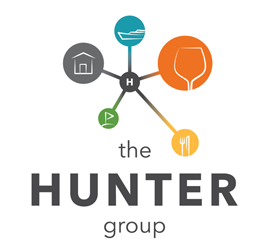 The Hunter Group have been leaders in Gibraltar hospitality for more than 30 years and operate eight different locations on the Rock, including Bistro Point and Gourmet Catering. Advantage is a Gibraltar based insurer authorised to underwrite private motor, motorcycle, van and home insurance in the United Kingdom. Advantage was set up in 2002 and our products are exclusively sold in the UK being distributed by Hastings Insurance Services Limited trading as HastingsDirect, a UK Financial Conduct Authority (FCA) regulated insurance intermediary. Both the Company and Hastings Insurance Services Limited are subsidiaries of Hastings Group Holdings plc. The Company differentiates itself from competitors through agile, real-time pricing, data driven risk selection and anti-fraud capabilities, uniquely suited to the price comparison websites. These are supported by a low-cost underwriting platform, a prudent reinsurance strategy and conservative claims reserving and investment management strategies. We are keen supporters of the local community and often take part in a variety of fund-raising initiatives for local charities. We see sponsoring the Gibraltar 2019 Games as an opportunity to get involved in something that will benefit Gibraltar for years to come. Strategically head quartered in the British Overseas Territory of Gibraltar, Colorworks International is ideally positioned to deliver a wide range of services to our clients. Using our extensive network of service partners throughout EMEA we are able to Design, Market, Project Manage and implement programs by using in house resources and local expertise only when needed. By using Gibraltar as a central hub, we can operate programs across UK, Spain, Portugal, France, North Africa and The Middle East with minimal logistics, travel and risk. Language is a key feature of Colorworks International. Being based on the Southern tip of the Iberian Peninsula, the cultures, diversity and languages spoken by our in-house team sets us apart from most. Lewis Stagnetto Limited established in 1870 is a family business that imports and distributes beers, wines, spirits & soft drinks to Gibraltar and has supported over many years the local community in both cultural and sporting led events. They have chosen to support the Gibraltar 2019 NatWest International Island Games and form part as one of the main partners/companies contributing to this year’s efforts by the Gibraltar 2019 Organising Committee. The local representatives for Heineken over the past 60 years, we are confident this international beer brand will be featuring at this year’s festive moments! Chestertons was awarded “Best Estate Agent in Gibraltar” in the 2017-18 European Property Awards. It is also the largest estate agent in Gibraltar (as measured by number of full-time staff). Every year we are trusted by hundreds of people to help them sell, let, rent and buy property in Gibraltar. Although we are an international company with a global reach, we fully embrace our role as the local agent. Our team knows the open market in Gibraltar like no one else and are able to provide our clients with advice at a local level whilst having the resource and contacts at an international level. We pride ourselves on our independence and professionalism. We do not have any affiliation, common ownership or shared directorships with any property developer or firm of lawyers in Gibraltar. We were instrumental in the launch of the Estate Agents’ Code of Conduct in 2015. We are the only estate agent in Gibraltar with a chartered accountant as an executive board member. We reach out to the community in which we operate. We regularly support local charitable events, we organise the Gibraltar Big Breakfast which raises over £2k for GBC Open Day each year and we sponsor a local football club. Using in-depth market knowledge and vast industry experience, our expert teams specialise in all areas of the property market including: sales and lettings; short lets; commercial property advice; property management, property development consultancy; market appraisals, relocation; vacant property management and raising debt or equity for property projects. Greg Rogers registered Mediterranean Computer Services Ltd in 1991. He was soon joined by Juan Rodriguez and between them they formed the foundations for what is today a well established IT company. As the company grew there were important additions to the management team with the arrival of Sole Hogg and later Alex Andresen. MCS soon developed into a large IT services provider. It employs 14 dedicated full time staff. CityGuide Gibraltar has been selected as the official app of the Gibraltar 2019 NatWest International Island Games and the development team are committed to helping the event organisers make Gibraltar 2019 the best Island Games ever. The app is already available for download on Android and iOS and is helping visitors and locals get more out of Gibraltar. The app is about promoting everything Gibraltar has to offer, to make it a more inviting and exciting place to live, work and visit. Over the coming year, new content and features will be added in support of Gibraltar 2019, helping the organisers, participants, support staff and fans have the best possible experience during the Games. Situated on the southern tip of the Iberian Peninsula, the British Overseas Territory is almost entirely surrounded by water other than the narrow isthmus which links it to mainland Spain. Gibraltar is less than seven square kilometres on the outside, but inside lie numerous caves and tunnels that stretch for approximately fifty kilometres. Herein lie some of Gibraltar’s biggest mysteries and secrets. The Gibraltar Government website will help you to keep up to date with Gibraltar issues and the government’s news and activity. Our economy is self-sufficient and growing successfully in a stable political climate. The Gibraltar 2019 NatWest International Island Games XVIII presents a unique opportunity for brands to align with the Games and support its extensive programme of activity leading up to, during and after the Games. The Games Organising Committee will work in partnership with your business to build a fully integrated sponsorship package, offering high-level advertising, branding and marketing options that meet your business objectives and budget. All sponsorship packages are tailored to recognise the differing needs and marketing aims of your business. We would be delighted to talk in person to discuss your specific requirements and how the Gibraltar 2019 Games can help your company with your marketing and commercial requirements.